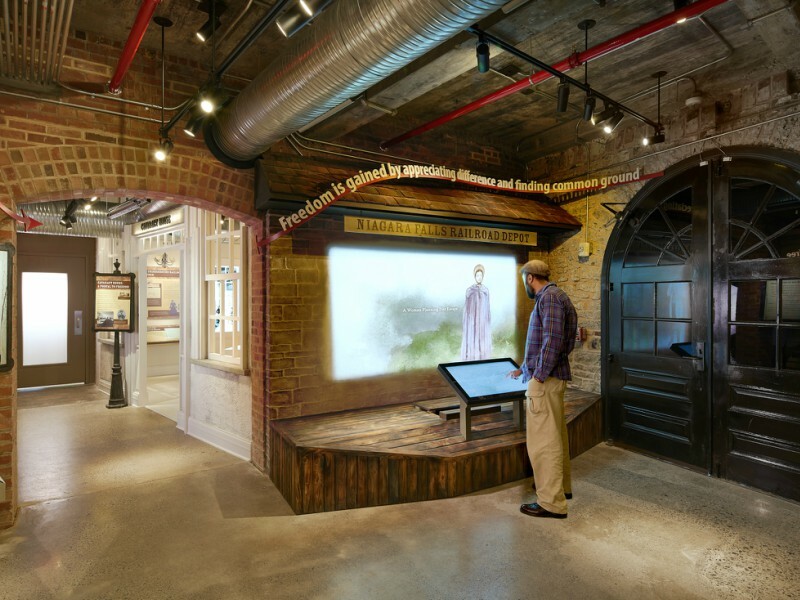 The Niagara Falls Underground Railroad Heritage Center is an experiential museum that reveals authentic stories of Underground Railroad freedom seekers and abolitionists in Niagara Falls. 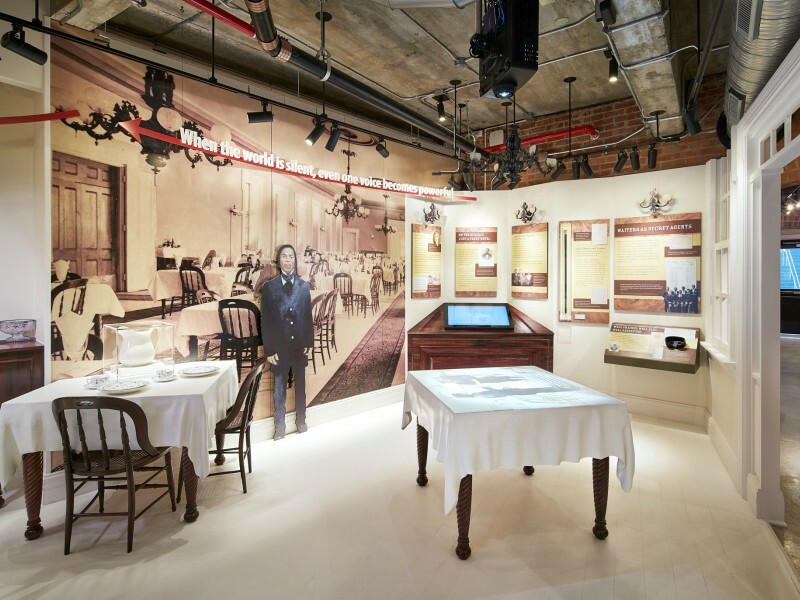 Located inside the former 1863 U.S. Custom House attached to the Niagara Falls Amtrak Station, the 'One More River to Cross' permanent exhibition features the rich stories of the Underground Railroad in Niagara Falls, the crucial role played by its location and geography, and the actions of its residents – particularly its African American residents. 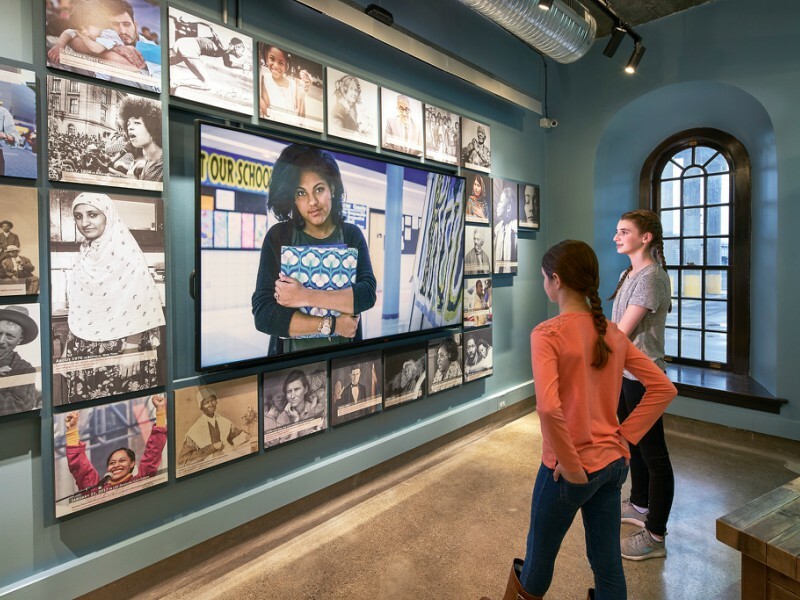 The exhibition presents engaging digital media, graphics, scenic built environments and facilitated dialogic programming as part of the visitor experience. 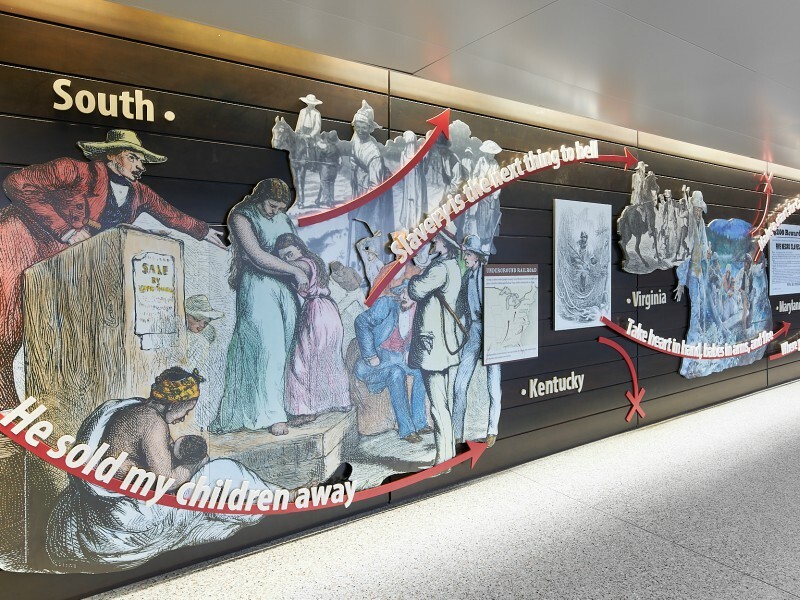 Visitors are able to experience stories and hear from individuals, such as Harriet Tubman, Frederick Douglass, and John Morrison, who connect the historic Underground Railroad past to present day around the world.